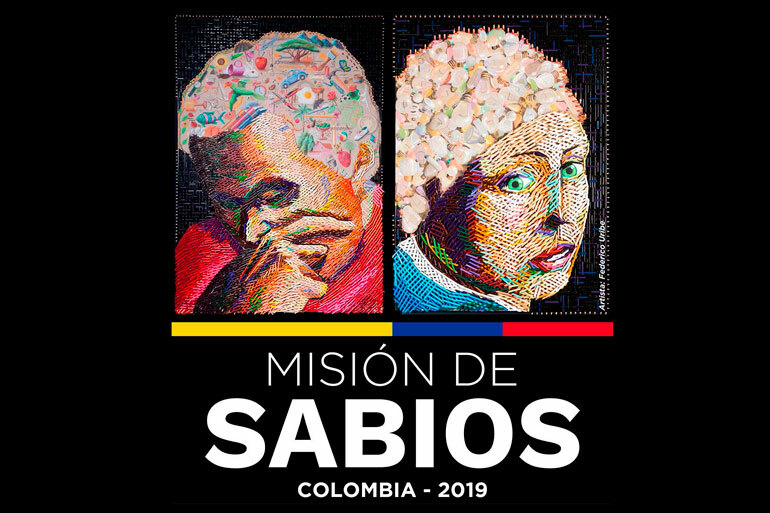 On 8 February Colombia's new President Iván Duque launched an initiative known as the Misión Internacional de Sabios (International Mission of Experts). This group consists of 43 leading scientists, academics and intellectuals from across the globe, including Earlham Institute’s Director of Science, Federica Di Palma. Over the next ten months the Misión will be tasked with recommending proposals in education, science, technology and innovation policy to inform a road map linked to the United Nations Sustainable Development Goals that will be incorporated into Colombia's next National Development Plan. The appointment of Professor Di Palma to this group of esteemed experts reflects the important and successful work that she has been leading in Colombia. Professor Di Palma established the international network BRIDGE Colombia, as well as the UKRI-funded GROW Colombia project, which are advancing research infrastructures and enabling socioeconomic development in the country, while aiding conservation efforts under a shared vision centered on biodiversity as a means to achieve sustainability and peace. Professor Di Palma, who will be part of a sub-group on biotechnology, the environment and the bioeconomy, said: “Colombia has a tremendous wealth of natural resources and therefore the potential to lead the world in global bioscience research. It’s an honour to be appointed to this Mission, which will help to cement the important work we have been doing through our pioneering projects in the country." Colombian Vice President, Marta Lucia Ramirez, will lead the initiative alongside the Ministry of Education and Colciencias (the government agency responsible for Science, Technology and Innovation). The proposals that emerge from this initiative will be consolidated into a single document with the goal of contributing to Colombia's sustainable, equitable and inclusive development. President Duque also recently announced that his Government will create a new Ministry of Science, Technology and Innovation. This decision proves the economic importance of science at a critical point in Colombia’s development. In recent years the country has emerged from decades of internal conflict and paramilitary activity, and continues to progress towards political stability and socioeconomic development. The BRIDGE Colombia network (www.bridgecolombia.org) is a multidisciplinary network of research organisations in the UK and Colombia founded in March 2017, focused on the development of robust coordinated activities under a shared vision centered on biodiversity as a means to achieve sustainability and peace. “GROW Colombia” sits alongside the BRIDGE Colombia network. The network actively facilitates collaborative and fully integrated research programmes; promotes research excellence and the use of innovation in technologies and approaches to develop resilience in research capabilities; stimulates partnerships; and promotes exchange of knowledge. A recent award from RCUK’s Global Challenges Research Fund is set to stimulate the bioeconomy by increasing knowledge of Colombia’s greatest treasure, its biodiversity, following the peace agreement. This project, “GROW Colombia”, aims for research excellence through promoting innovative technologies, developing resilient research capabilities, building partnerships, and fostering best practice in knowledge exchange, with longer-term goals to stimulate economic and social growth. UK-based researchers are working with Colombian researchers, industry partners and crop breeders to study the genetic diversity within the country’s unique biodiversity, documenting its distribution and the threats it faces, as well as to gain the skills needed to drive sustainable innovation and to attract further public and private funding.